At Visit West End Gift Card, we are committed to maintaining the trust and confidence of the visitors to our web site. Here you’ll find information on how we use and protect any data/information that you give us when using the visitwestendcard.com website. In order to take payment, deliver and provide ongoing customer service we need to obtain and retain certain personal data. The following sections provide more detail on the data we collect from you and what happens to that data. Personal data means any information about an individual from which that person can be identified. It does not include data, where the identity and identifying information has been removed (“Anonymised Data”). – to deliver your order to you. – To manage our relationship with you and to provide a high level of customer service we may keep records of your contact history. We are required to do this to perform our contact with you. This is important for us to provide good customer support and look after you in the event of any customer service enquiries. We may collect information about the devices you use, such as your mobile or browser and information about how you move around our website This helps us to improve our website for you and allows us to give you a better experience. This data is anonymised and will not include any of your personal details. This information may also be used in fraud prevention allowing us to earmark suspicious activity and prevent other people’s cards from being used fraudulently. We will keep your personal data for 24 months from the date of your last purchase in order to be able to provide customer service as described in this document. In order for you to receive your goods, The Visit West End Gift Card works with Royal Mail. Again, we only pass limited information to them in order to ensure delivery of your items. We work with Stripe, a trusted third-party payment processing provider in order to securely take and manage payments. Prior to sending any marketing communications we will explicitly request your permission via opt in options on this website. – it is important for us to understand your preferences so that we can send you relevant information. We will keep your personal data for no longer than is necessary for the purpose(s) it was provided for and to meet our legal obligations. If you “Unsubscribe” from this service we will retain data information for 12 months (unless otherwise instructed by you) after which it will be automatically deleted. 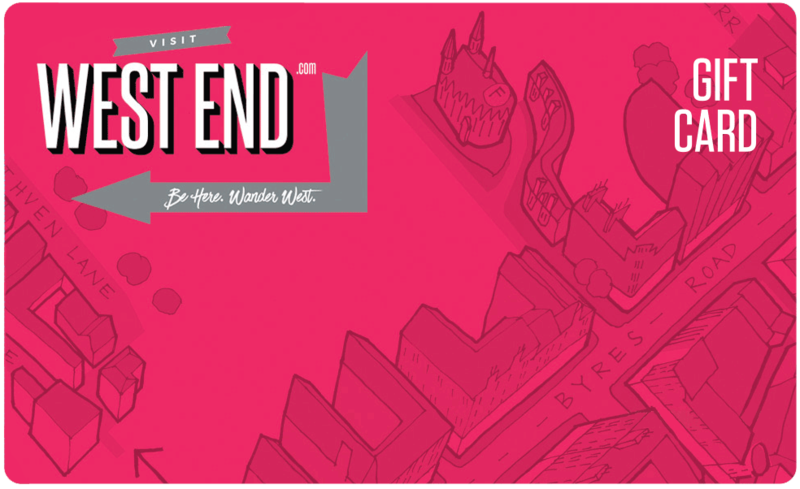 In order to send you information by email, The Visit West End Gift Card works with MailChimp. Each email we send will clearly provide the opportunity for you to unsubscribe from this service. We want you to feel safe with us having details and we want to keep you informed about how we use the information you give us. If you wish to view, update, amend or delete any personal data we hold about you please get in touch with us at enquiries@visitwestendcard.com. We will try to respond to all legitimate requests within one month. We may need to request specific information from you to help us confirm your identity and ensure your right to exercise any of the above rights. This is a security measure to ensure that personal data is not disclosed to any person who does not have the right to receive it. We are committed to ensuring that your information is secure. We endeavour to ensure that your data is stored securely and to prevent unauthorised access. We have security measures in place to protect your information which we monitor regularly. Unfortunately, despite our best measures and efforts, because of the nature of the Internet, we cannot guarantee that your information will always remain at all times 100% secure. The continuing efforts of hackers to defeat even the newest of security systems means that we can never make this promise. We use online advertising to keep you aware of what we’re up to and to help you find our products. Like many companies, we may target banners and ads to you when you use other websites. We do this using a range of advertising technologies such as pixels, ad tags and cookies. We may change this policy from time to time by updating this page. If we make significant changes we will make that clear on the Visit West End Gift Card website or by some other means of contact such as email.